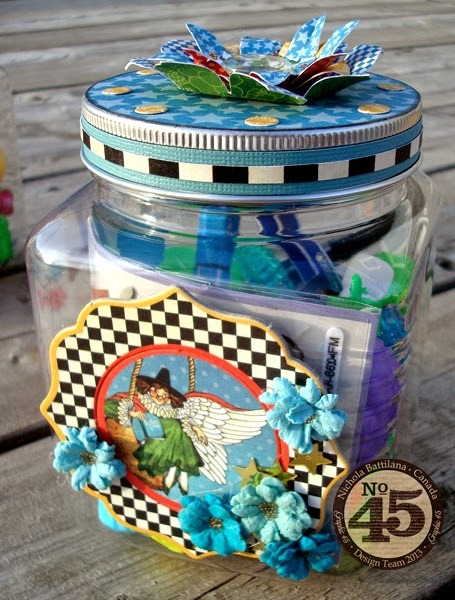 I created these jars as prizes for the annual fun fair at my son’s school. They call them Jewel Jars around here. 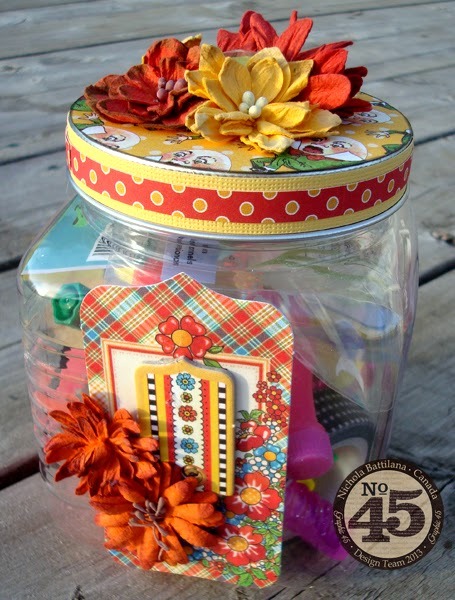 Little jars packed with goodies of all sorts like candy, school supplies, and small toys. 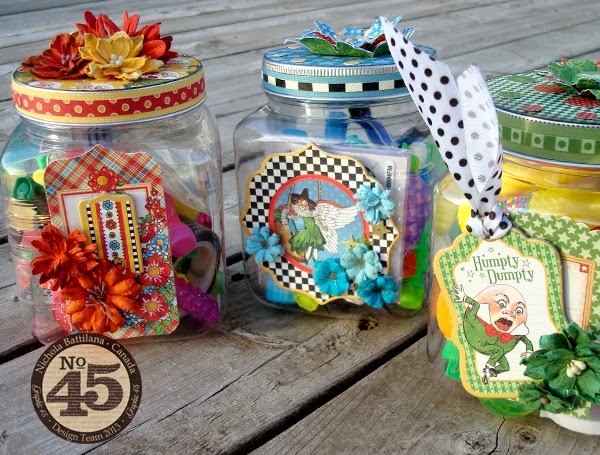 Using Core'dinations Lemon Chiffon, Spring Green and Robin’s Egg in combination with Graphic 45’s Mother Goose collection I’ve spruced up some inexpensive plastic jars. I’ve gone easy on the embellishments, making them a quick fun project that will appeal to little prize winners at the school… but you could absolutely run with the concept and decorate to your hearts content! I think these would make adorable shower prizes or party favours. By changing the papers you could match the theme of your event. I love these Nichola. Where did you get the jars? This is a great idea for a wedding or baby shower, a teachers gift, a birthday party. Thanks so much for sharing it. Great idea and so pretty. Nice job.